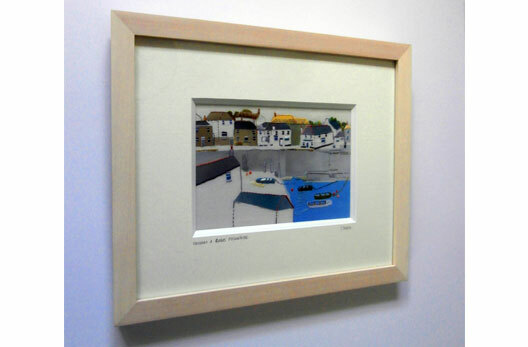 Carole Green creates distinctive handmade textiles with a flavour of Cornwall and eye for detail. 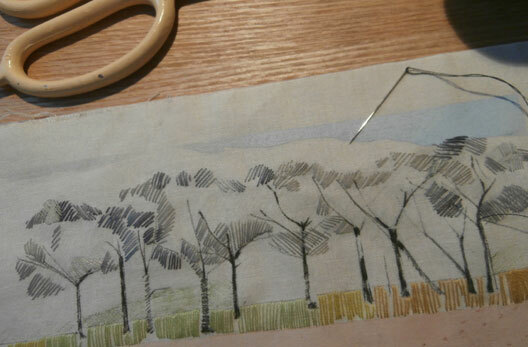 Her deceptively simple designs have developed over the years to incorporate print techniques, applique and traditional hand embroidery to create composite still lifes and snapshots of the Cornish landscape realised as layers of colour, pattern and stitch. With a degree in fashion and textiles Carole has a background working freelance in industry designing textiles for fashion and interior markets. 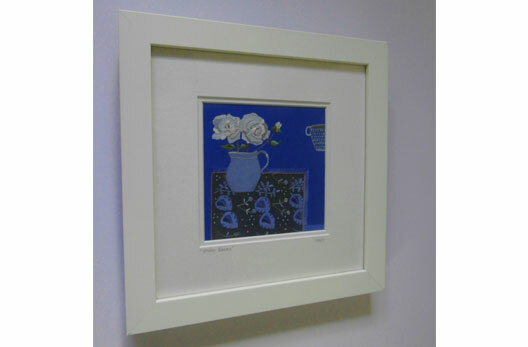 Her work today focuses on original hand stitched pieces and a range of popular cards which she has sold and exhibited at shows and galleries across the country. She is inspired by both the coastal and rural landscape of Cornwall but is also influenced by historic and contemporary ceramics and textiles which are reoccurring motifs in her work. 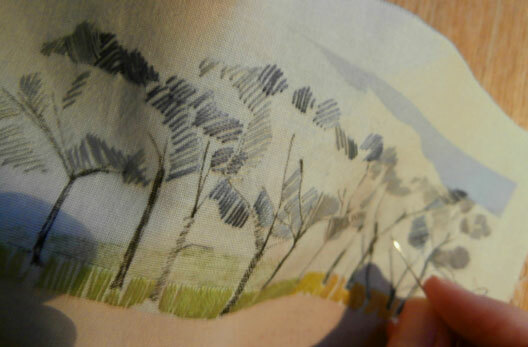 Each piece begins as a series of drawings and paintings, which develop to create designs which combine a modern aesthetic with intricately detailed traditional stitching.